Kidlist welcomes Geri Marrella, a local mom, wife, and travel agent with Pixie and Pirate Destinations, as a guest contributor. Her and her family are always ready to countdown to their next adventure and she is excited to share all of her knowledge to help you plan a vacation that is just the right fit for your family! 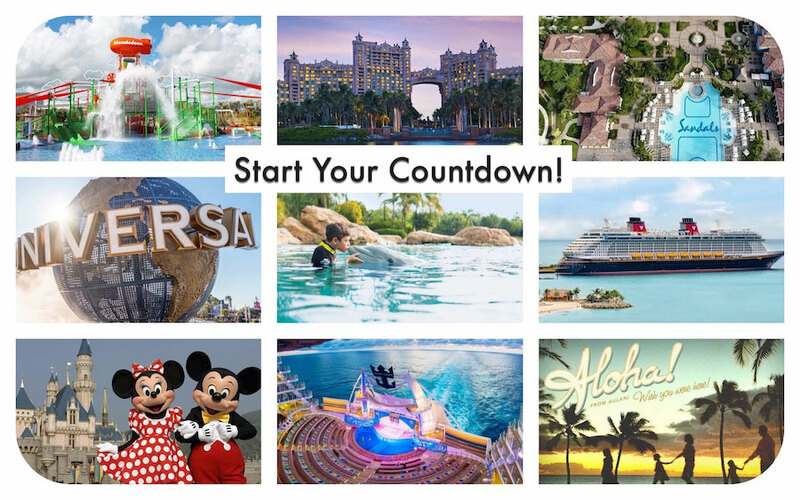 Do you have a countdown started to your next vacation? Our daily lives can get so busy and scheduled, it is important to spend time with the ones we love and make amazing memories! I specialize in Disney Destinations including Walt Disney World, Disneyland, Disney Cruise Line (On-board Credit for booking with me! ), Adventures by Disney and Aulani, A Disney Resort and Spa in Hawaii. Why use a “guidebook” written for the average vacationer when you can have your own go-to specialist to answer your family’s specific questions and plan your personal details with you? You will pay the same amount of money booking a trip with me as you would if you booked it directly through the company itself. Plus, I am always checking to make sure you get the best offer available, even after you book! The best part……my services are always 100% FREE to you! Ready to start planning? Send me an email at Geri.m@pixieandpiratedestinations.com. I can help with as much or as little as you’d like or need. Your vacation planning is important to me, but I never want to step on your toes – you are always in control! Many of these destinations are booking through 2019 or even 2020. Booking early also allows you to make payments along the way. I can book Groups and Weddings, too! I look forward to working with you and seeing your amazing photos. Be the first to comment on "Plan Your Next Vacation with Geri Marrella (her services are free!)"